so if you want to add onto it then you can do so. 1) Install vBulletin 3.7. (make sure you don't use a table prefix). 2) Install XBT Tracker (http://xbtt.sourceforge.net/tracker/) and use the same database as vBulletin. 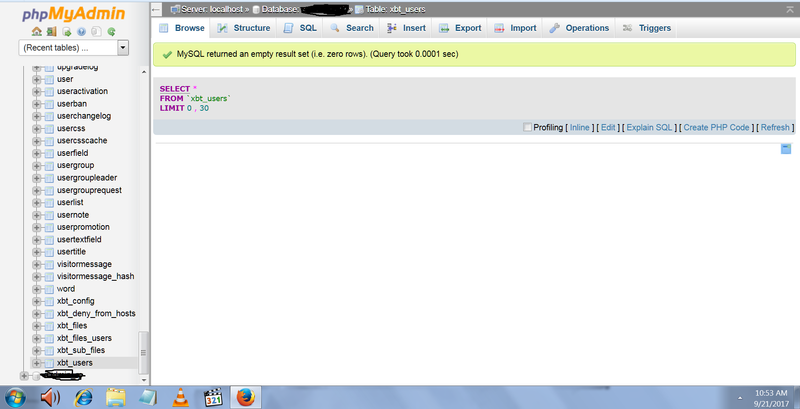 3) Upload xbt_tracker.sql via phpMyAdmin. 4) Upload xbt_vb_mod.sql via phpMyAdmin. 5) Change xbt_config.php.cxo to xbt_config.php and edit. 7) Import product-xbt_vb_mod.xml in vBulletin. (ACP = Plugin System = Manage products). 8) Add xbt_cron.php to your cronjobs. (*/5 * * * * php /home/cyrexo/domains/gysn.org/public_html/xbt_cron.php). May be, your hosting does not support short tag <?, so file includes/benc.php cannot use.